Instagram, the Facebook-owned photo and video sharing platform now has 700 million monthly active users. This would that it took just over four months for the platform to add 100 million new users. Instagram took six months to grow from 500 million to 600 million users and nearly nine months to jump from 400 million to 500 million users. Instagram debuted in October 2010, and it reached the 100 million user milestone in February 2013. The photo and video platform took more than a year to add its next 100 million users. Since its acquisition by Facebook, it has been steadily growing its userbase. 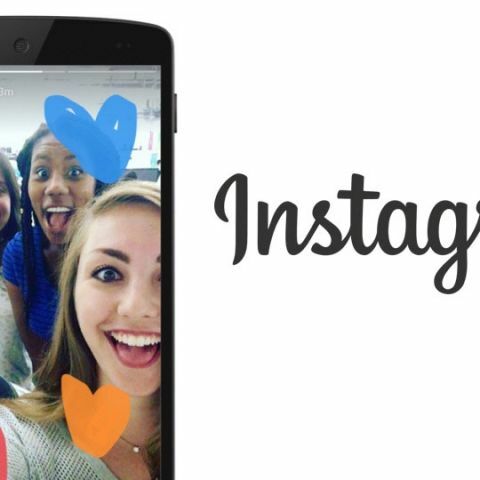 Instagram says nearly 400 million users open the app at least once every day, further highlighting its engagement. According to Statista, Facebook has 1.87 billion monthly active users, while WhatsApp and Messenger are being used by around 1.2 billion users every month. In order to compete against Snapchat, Facebook has been offering Snapchat-like features on all its major products. While its Snapchat clone is yet to take off on Facebook, WhatsApp and Messenger, it seems to be a hit on Instagram. Instagram Stories is now being used by over 200 million users, which is more than Snapchat's 158 million userbase. In addition, Facebook also added its own features like Boomerang and Mentions.